Most of the people create files and end up on saving to the desktop. And in few days the main screen looks like a huge mess and cluttered. From now onwards you don’t have to waste time in arranging the files on the desktop and create as many files you want to. It will all get in order and arranged itself with the cool Stacks feature. The brand new Mojave brings up a new feature known by the name Stacks, which can re-arrange the folders and files on the desktop and prevent your desktop from cluttering. 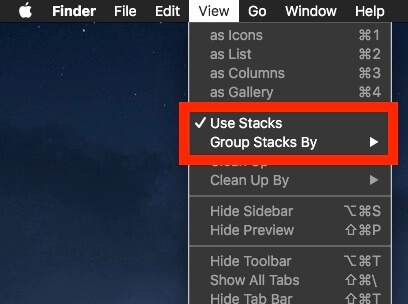 So let’s learn how to use Stacks on macOS Mojave. Here’s what a Stacks can do for you? Stack Features! Organize and arrange the files and folders on your desktop and prevents cluttering on your desktop. Arrange images, PDFs, documents, Spreadsheets and much more by Group by a feature in Stacks. Sort files and folders as per file attributes like date and tags. You can drag a file or folder from a stack and drop in the document file or vice versa. Step 1: Be on your “Desktop”. Step 2: On the top, you will see “Menu Bar”, click on “View”. Step 3: There tap “Use Stacks”. Step 4: If you don’t want to use stacks then again go to “View” and deselect the “Use Stacks”. In what ways you can use Stacks? It is the big question. There are two options available, Group Stacks By and Sort Stacks By. Now to take best of Stacks you need to understand each keyword and its function. Get ready. Tags: Groups files in stacks according to their tags. None: Does not group any file within stacks. Kind: Group files according to the type of file in stacks. Size: According to the size of the file it groups in stacks. Date Modified: It groups files depending upon when you last modified it. 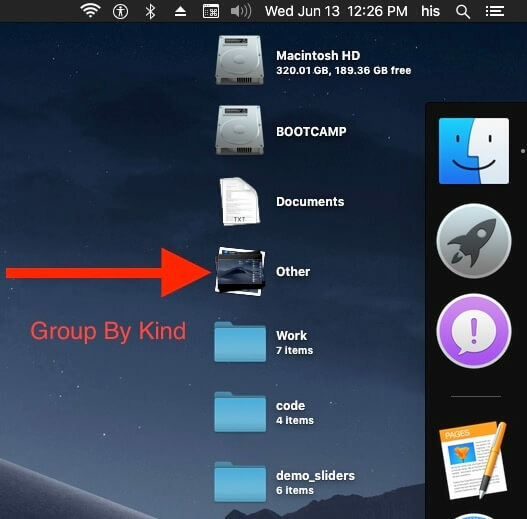 Date Last Opened: Groups files depending upon when you last opened the file. Date Added: It groups files in stacks by considering the date on which you added the files. Date Created: It groups files according to date of creation. Date Created: It sorts files according to date of creation. Date Added: It sorts files in stacks by considering the date on which you added the files. Date Last Opened: Sort files depending upon when you last opened the file. Date Modified: It sorts files depending upon when you last modified it. Name: It groups files as per names in Stacks. None: Does not sort any file within stacks. Kind: Sort files considering the type of file in stacks. Along with this Mojave supports few more stacks operation on the desktop. See the contents of the stack: Tap on Stack, and it will expand, and then you can see contents of it. Quickly import files: Select a file from the stack and drag it to another app. Browse the stack: Move the cursor over the stack to see inside files. Drag and Drop: Drag a file from the stack and drop it to another folder or app. Above all are the essential settings and user guide on auto managing Desktop with Stacks on MacOS Mojave 10.14.